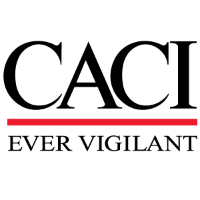 CACI is seeking a Systems Administrator to provide System Administration, network, and mission support to an integrated array of systems within AF DCGS. Provide operational and maintenance support of the DGIF system which includes pre-mission, mission, and post-mission support and systems analysis to AF operators and other contractors. Conduct installation of hardware/networks along with associated verification testing. Identify and develop solutions to problems discovered through installation and checkout, mission/post mission support troubleshooting, or system analysis. Determine failure root cause, initiate corrective action, propose solutions or coordinate with customer and plant engineers to resolve issues. Debug HW/SW/SYSTEM problems and communicate corrective actions to various locations and site personnel. Analyze system performance and make recommendations on system improvements. Install and checkout system upgrades. This site supports a military customer and a Government agency. This position does a shift rotation and includes overtime, weekend work, nightshift, non-standard work week and extended shifts. Related Bachelor’s degree and minimum of 6 years of relevant experience OR 14 years of relevant experience in lieu of a degree. Extensive knowledge in one or more of the following areas is required, Solaris System Administration for SUN Servers and Workstations, Encryption device knowledge, UNIX, shell scripting. Familiarity with RF intelligence gathering, analysis and dissemination, exposure to C/C++, Telecommunication Systems and Troubleshooting, Cisco Routers, ATM Switches, Bridges, Oracle or WebLogic.